Your guests may accidentally damage the venue you have rented. Does your venue require you to provide evidence of insurance? Yikes. Check your rental contract. Are you hosting the party at home? Check with your homeowners broker to see if you are covered. Parties over a certain size are most likely excluded. Have you rented furniture or a sound system or a marquee? Are you responsible to insure the equipment you have rented? Check your rental contract. Your guests could trip on temporary carpeting or slip on a wine spill on the floor and injure themselves. What if your friend or relative is forced to sue you? Awkward? For sure. Will your homeowners insurance cover you? Probably not. Anniversary event liability insurance will protect you if you are sued by providing a free lawyer to defend you and paying the judgement costs awarded to your injured guest if you are found to be liable. Do you need protection if your guests drive drunk and crash? What happens if your marquee blows away and injures other people in the park? Lawsuits from a cartwheeling marquee would be covered with Anniversary celebration insurance. When hosting an anniversary party, most banquet halls and venues such as golf and country clubs will require you to have event insurance in place. Often the hall will tell you in their contract the short term venue liability amount required. Anniversary party planning should include one day event insurance. Cheap event insurance is available online with no need to talk to a broker. One day insurance is inexpensive. Policies start at $130 and certificates for your anniversary venue to prove you are protected are provided at no cost. A quote is also free, so a fast quote is available any time of the day or night. 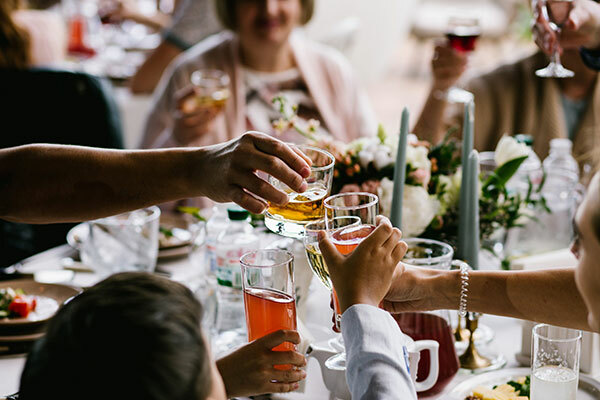 If you will be serving alcohol at your anniversary, make sure that you request venue alcohol liability – available through our online site. Remember, as a host you are responsible for the safety of any guests. You could be held legally responsible if people consume alcohol during your party and harm themselves or someone else. Consider how your guests will be traveling home. Purchase peace of mind day insurance in about five minutes with no need to talk to a broker by buying online. It’s always good planning to have special event insurance for your party because you never know when something unexpected may occur. Anniversary insurance will allow you to fully enjoy your special day. About: Front Row Insurance Brokers Inc. is an independent insurance broker that provides anniversary insurance for the lowest possible cost. Should a claim occur, Front Row ensures that you receive the money you are owed per the insurance policy, as quickly as possible. Front Row has offices in Vancouver, Toronto, Montreal and Halifax and are licensed and registered in all provinces in Canada.